Tanya Picard is a teacher and choreographer from the Chicago area who took her first dance class at the age of 6, her first Giordano and Luigi jazz classes at the age of 10, and has never stopped moving since. In New York, in addition to studying jazz with Luigi, she has studied modern at the Martha Graham Dance Center and tap with Bob Audy and Charles “Cookie” Cook. A lifelong student of Gus Giordano, she has been awarded scholarships for several of her students to take master classes at the Giordano studios. Tanya is currently an active participant in Chicago Human Rhythm Project. Tanya did her graduate work in theatre at the University of Minnesota in Minneapolis where she served as the Artistic Director for Pasticcio Dance Ensemble, a regional contemporary company. Her areas of academic focus are devised theatre, literary analysis, and dance history. While in Minneapolis, she also worked as choreographer for the Renaissance Faires in Chicago and Boston, creating the original “Gypsy Dancers,” and choreographed more musicals than she cares to count. 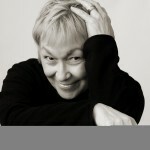 Returning to Chicago, in addition to teaching technique classes, serving as a movement specialist for an early childhood program, and directing an adult tap company, she received grants to produce two original works: Amelia and Leonardo and Elements. In 2009, she organized a two-day Luigi workshop taught by Luigi’s assistant, Francis Roach, and produced Never Stop Moving, a special performance honoring Luigi’s influence. We are happy to have her join the Class Act staff as a Guest Choreographer.